Growing Cauliflower - Everything you need to know. Cauliflower prefers cool weather to grow. Plant in the early spring for summer or early fall harvest and early summer for late fall harvesting. These vegetables are best transplanted as they get more growth before the heat of summer. Some gardeners feel this is a difficult vegetable to grow. It grows in similar conditions as Broccoli or Cabbage. In my experience amending your garden soil with aged manures and adding in lime (if your soil is acidic) will help getting the best cauliflower. When growing this vegetable it often will be smaller and not as white as some you can purchase in the store. Just remember a lot of veggies we buy in stores is genetically manipulated or enhanced in some way to make them look more appealing. Give this wonderful vegetable a try in your own garden. Location - Cool, moist, well drained, open. Soil - Rich, moist, easily crumbled loam with neutral pH (6.0-6.8. Soil Preparation - Grows well after a green manure crop. Dig in a few inches of compost or aged manure, shredded leaves and lime (5lbs per 50’ bed) before planting. 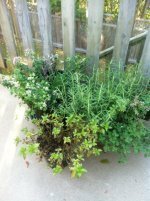 Use compost or manure tea at bud formation time. Planting times - Sow April to mid July; transplants at 6-8 weeks. Set out before they reach 6-8 leaf stage. Succession plant every 2 weeks. Planting Instruction - Seeds need to be covered when seeded in propagating mix (use large cells). 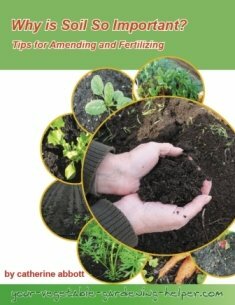 Add a handful of compost in the hole when transplanting. Water it well an firm down. Watering - Water regularly once a week at the base of the plants. Root maggot-to prevention grow after green manure. Cabbage worm – pick off, cover with remay or mulch with sawdust around the plant. Harvest - Pick the head when it is 5-8 inches and before the segments begin to separate. Storage - Cool as soon as you harvest. This vegetable will keep in the refrigerator for several weeks.